BLAESILLA, a daughter of St. Paula (26th January), and disciple of St. Jerome (30th September). Married in her teens, and widowed seven months later, St. Blaesilla consecrated herself to God. She reposed in 383 at Rome of a fever, at the age of only twenty. BRITHWALD, a monk at Glastonbury, St. Brithwald was consecrated Bishop of Ramsbury on the Translation of St. Ælfric (16th November) to the See of Canterbury (996). He was known for his gifts of visions and prophecy, and endowed Glastonbury and Malmesbury abbeys. St. Brithwald reposed in 1043 and was buried at Glastonbury. DOMINIC of SORA, a monk renowned for his sanctity of life and wonderworking. During his life, St. Dominic founded nine monasteries in the Kingdom of Naples. St. Dominic reposed of natural causes in 1031 at Sora. GAUDENTIUS of NOVARA, a priest near Turin, who succeded his friend St. Laurence (30th April) as Bishop of Novara in 398. St. Gaudentius was also friends with SS. Eusebius of Vercelli (2nd August), and Ambrose of Milan (7th December). St. Gaudentius reposed in 417, and according to one legend, his corpse began reciting his sermons over and over, until his priests were able to transcribe them for future use. VINCENT, ORONTIUS, and VICTOR, SS. Vincent, and Orontius brothers from Cimiez in the Roman province Alpes Maritimae. 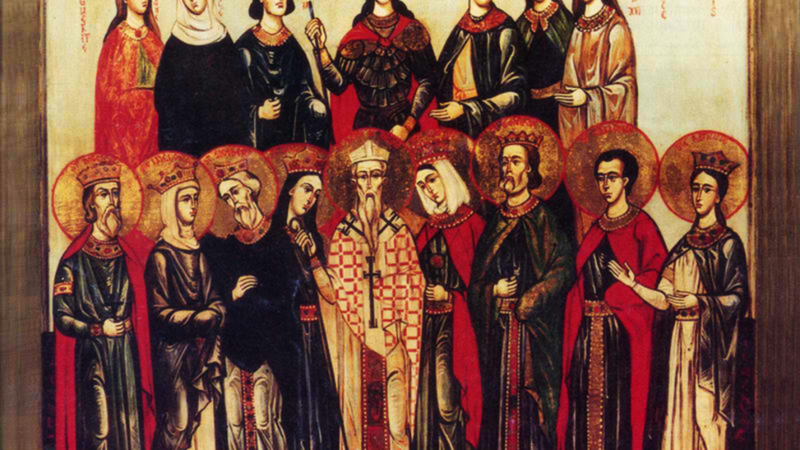 Together with St. Victor, they preached Christ in the Pyrenees where they were martyred at Julia Libyca (present-day Puigcerda Spain) during the Diocletianic Persecution circa 304–305. Their relics were later translated to Embrun in Hautes-Alpes, France, where they were destroyed in Protestant looting in 1585.